PHASE II IS OPEN! GrayHawk Village is a planned community for active adults 55 and over. 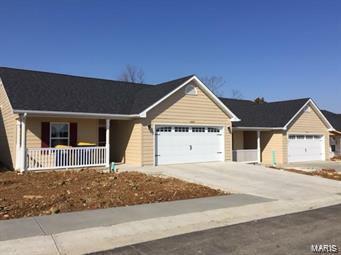 The new 1200 sq ft or 1400 sq ft attached villas features ONE and or TWO car garages, 2 beds, 2 baths, wider doorways, raised panel oak cabinets with slide out trays, emergency call system, garage with remote opener and key less entry. Private community with a park like setting and a pond. Community clubhouse/recreation center, Display open daily 12-4, closed Mondays. Other units available. Build to suit. NOW OFFERING BASEMENTS.